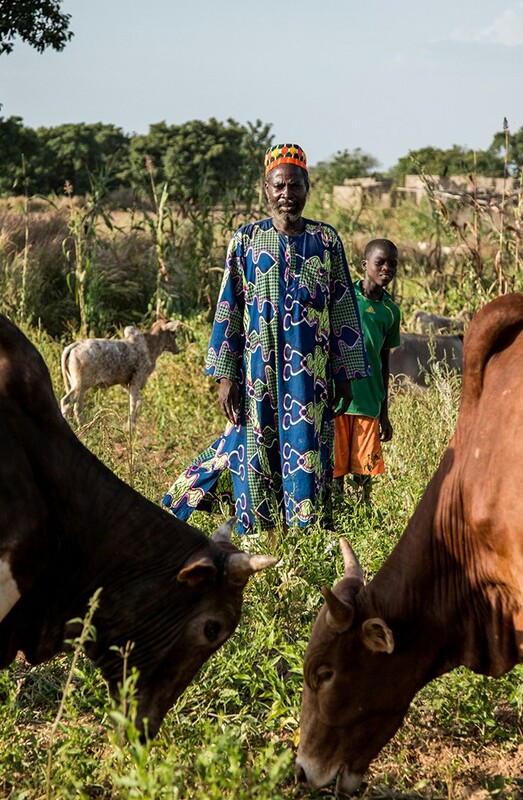 When a small pilot scheme got underway in West Africa, no-one imagined the results could change the future for drought-prone communities across Burkina Faso, and beyond. IT’S EARLY morning in the sub-Sahelian region of Burkina Faso, but the heat is intense. The rains ended a month ago and the earth is already dusty and red. By midday the temperature will soar to more than 40 degrees Celsius — and it’s only the beginning of the dry season. When WaterAid launched a small pilot project in three villages here, it was with an apparently simple goal: securing access to water 365 days a year. But our team knew straightaway that something different would be required, something more innovative than we had worked on before, because of the unique challenges facing these communities. Firstly, there was the dramatically variable climate, characterised by unpredictable rainfall and a dry season that can last for up to eight months of the year, as the harmattan — the hot dry wind from the Sahara — blows across the land, making rivers evaporate and groundwater levels drop. Then there was the critical task of meeting the needs of hard-working families, as they faced the daily challenges of living in one of the world’s poorest countries. When the rains ended, they were forced to dig for days in the riverbed or travel for miles in search of water to drink, to wash and to cook with, not to mention to give to their livestock, to irrigate their crops or to use in brick-making. Our pilot project helped to change all that. 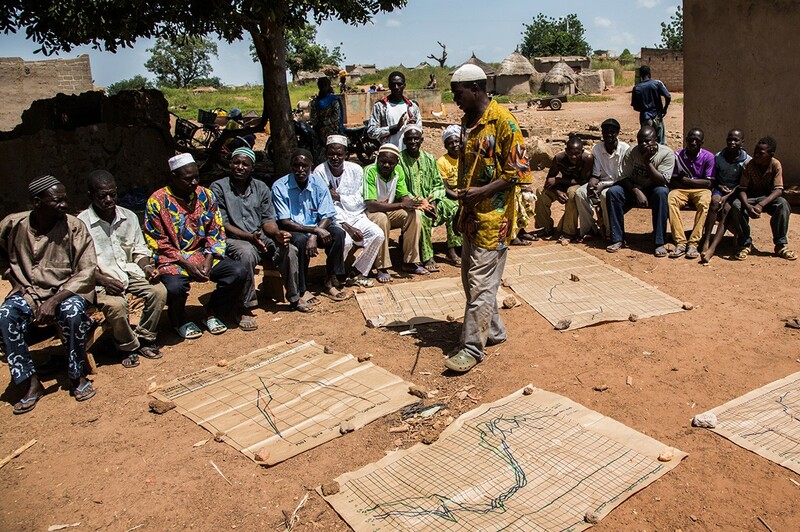 In such a tirelessly unpredictable climate, making our work truly sustainable meant not only incorporating robust new infrastructure to help ease the communities’ water problems, but helping them develop the skills to become fully-fledged water experts themselves — with the support of local government guaranteeing long-term change. That’s why, as well as investing in new sand dams and making improvements to existing wells, we’re supporting local people like Balima Kalim to get the training and tools they need to measure water levels, monitor rainfall, pre-empt threats and spot emerging data patterns. Balima is one of a new generation of water experts in Burkina Faso. Here, he explains graphs charting monthly rainfall and well water levels to fellow villagers in Basbedo village. “Now we can monitor the water there has been a big change in the welfare of the community,” Balima tells us. He lives in Basbedo village and works as a water monitor, a new role which is central to the project’s main aim: putting the community at the heart of managing their own water supply. “We make graphs so we can show people the evolution of the water level. We tell them when they can start to sow their crops and what quantity of water they can fill their buckets with, so that the plants don’t die. “Now there is no more suffering for water, there are no more quarrels. I have hope for the future,” he says. Water monitor Koudougou Aminata measures the water level of a well in Basbedo village. “I am able to give the community information and empower them in protecting their water source. That’s the reason I got involved,” she says. Thanks to their new, trained specialists, the community in Basbedo is now equipped to make informed, collective decisions about their water supply for the very first time. Together, they agree how much water can be used, at what times of day, from which waterpoint and in what quantities — safeguarding access to this vital resource that can determine whether they live or die, especially during the unrelenting dry season. And with the whole community on board, the results have transformed every aspect of day-to-day life. “Many people are involved in market gardening [the small-scale production of fruits, vegetables and flowers as cash crops] and this has made their lives better,” Balima says. 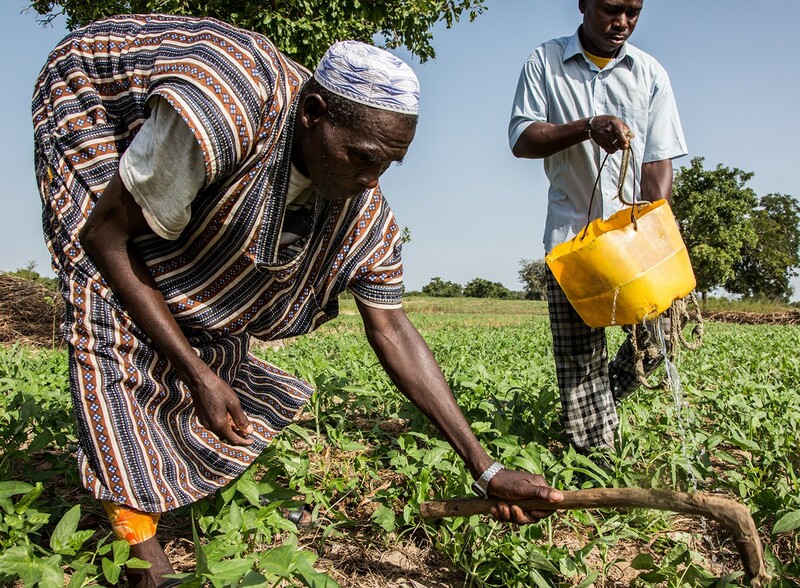 Bamogo Salam, left, hoes the earth while Bamogo Salifou waters crops, using water from a WaterAid well, in a market garden in Basbedo village, Burkina Faso. “People have better clothes and many people have houses — there are cement bricks too, where in the past people only had mud bricks, because people have more income. “There are more cows, which means more need for water, but people are so well organised; they go in groups and everyone knows when to go. Even the small boys who take care of the animals know what time they have to take the cattle to the waterpoints. 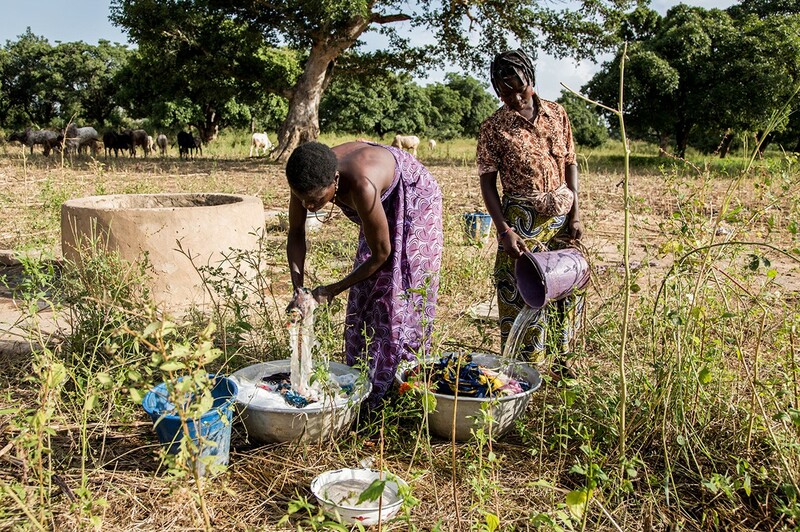 Now the community in Basebdo can track and analyse their water supply, they can decide how much can be taken — from where — for activities including washing clothes, cooking and watering crops. The results from Basbedo, and the other communities where the pilot programme has been running, have been so extraordinary that this spring we’ve launched our Project Sahel: Water 365 appeal, with the goal of implementing this pioneering approach in a total of 14 drought-prone communities in Burkina Faso. And it doesn’t stop there. 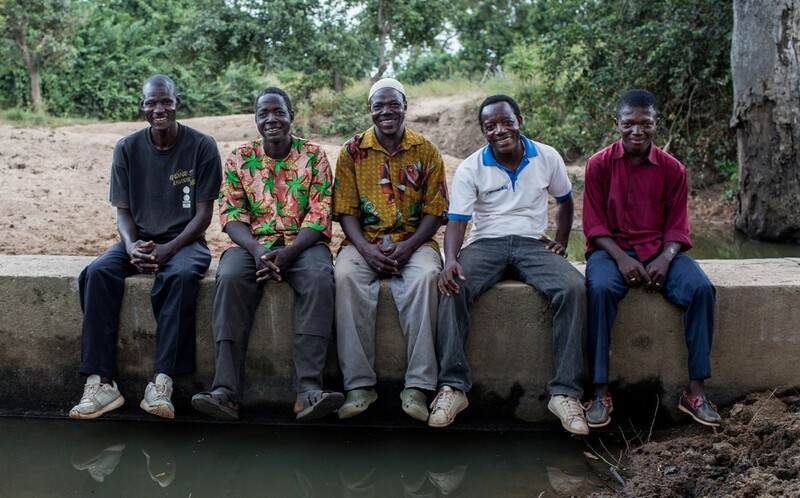 Critically, the new generation of water experts we’re helping to train are not working alone. The data they’re collecting is being fed into government monitoring schemes, to help build a more cohesive national picture of climate patterns across the country, which could have far-reaching results. It’s also helping communities to secure vital government support, especially at district level, making long-term investment in their infrastructure and training much more likely. Left to right: Zombre Nazaire, a community development technical officer, Sorgho Bila and Balima Karim, water monitors, WaterAid’s Lucien Damiba and Ouedrao Edmond, water, sanitation and hygiene focal point for the local government, at one of Basbedo village’s new sand dams. 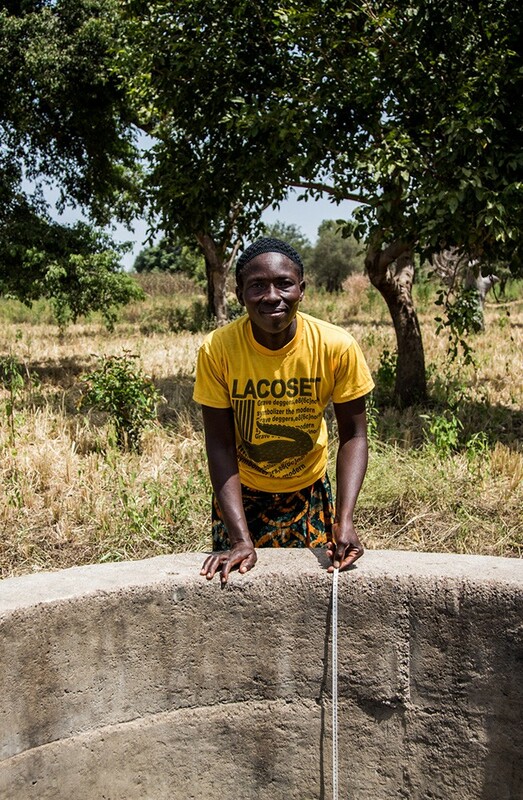 For Lucien Damiba, who leads WaterAid’s work on managing water resources in Burkina Faso, it is this combination of community commitment, improved infrastructure and advocacy at a government level that makes the future for this pilot project so thrilling. “Understanding how to manage a water supply brings economic, social, and health benefits,” he tells us. “This pioneering approach will serve as a model that can be rolled out by the government of Burkina Faso and scaled up in other sub-Sahelian regions. To support more work like this, become a donor today. 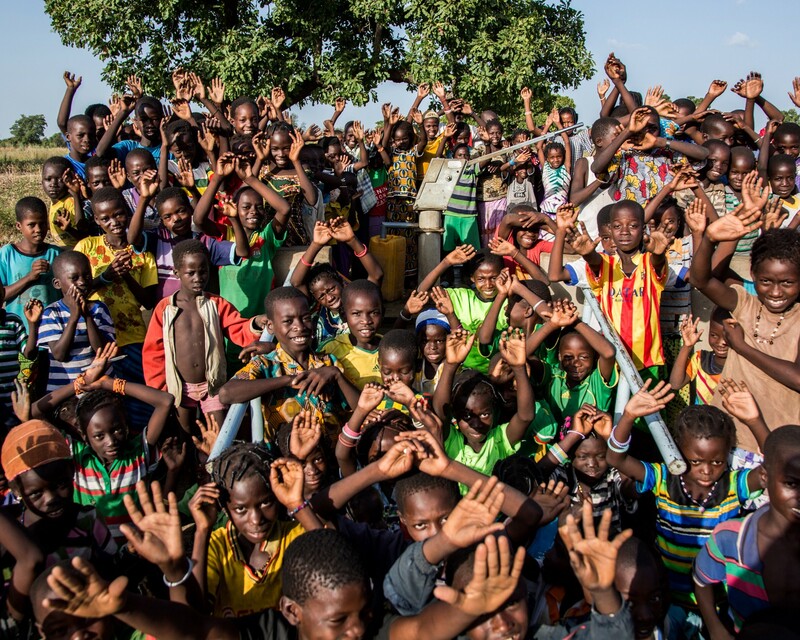 The children of Basbedo village celebrate at a WaterAid borehole.